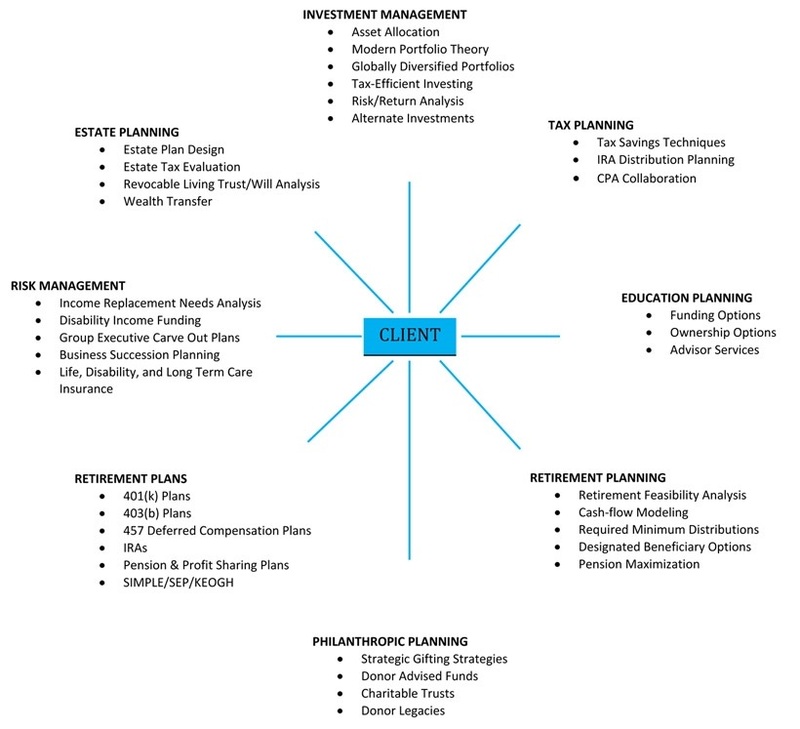 Wealth Management is a holistic approach to understanding and providing solutions to our client’s major financial challenges in life. From our client’s perspective this means having all financial challenges considered. It usually involves a diverse range of offerings according to the needs of each investor, but may well include family governance, investment management, financial planning, pensions, estate planning, tax conscious planning, life insurance, asset protection, cash flow and debt management. It derives integrated solutions to complex challenges and does so in close consultation with the client.